A mayoral candidate in the upcoming Bucharest election had denied Romania’s complicity in the Holocaust in a 1994 news article. Marian Munteanu now of the National Liberal Party (PNL), had founded the ultra-Christian and nationalist Movement for Romania (Mişcarea pentru România) in 1991. The accusations surfaced in their newspaper ‘Mişcarea’ in June 1994. The party foleded in 1996 as Munteanu pursued other interests. He denied that Romania had experienced an anti-Jewish Holocaust and the 400,000 deaths were no more than a ‘deeply flawed assessment’. Antonescu ordered pogroms and the closure of all ‘Jewish communist cafes’. The repressive regime had proved one of Hitler’s most consistent allies during the Second World War. General Antonescu had met with Hitler in 1943 to reassure him of Romania’s unconditional support. Romania and other Axis allies were part of the invasion of the Soviet Union in 1941. Odessa, a city in the Ukraine, was home to 180,000 Jews – around a third of the population. Before Romanian occupation, around half of Odessa’s Jewish population had fled. On October 22, 1941, an explosion at Romania’s military headquarters in Odessa had left 67 dead, including the Romanian military commandant. This provided the pretext for genocide. Troops had shot dead many of the 19,000 Jews rounded up near the habour areas. Others were doused with petrol and burned alive. Romanian forces took 20,000 Jews to the village of Dalnik. Some Jews were shot. Others found themselves locked into a warehouse which was then set ablaze. Troops shot any fleeing individuals. The Romanian administration then ordered the surviving Jews into two ghettos. Many died as a result of malnutrition, disease and exposure. In 1942, Romanian authorities deported almost 20,000 Jews from the Odessa ghettos to camps and ghettos in Transnistria, including the Bogdanovka, Domanevka, and Akhmetchetka regions. Like other European countries, antisemitism had existed in the pre-war years. The fascist Iron Guard found broad political support for their antisemitic violence and propaganda during the 1920s and 1930s. King Michael of Romania arrested Antonescu in 1944. The former general returned to Romania to face trial in 1946. And he admitted signing the order to massacre Jews in Odessa. Antonescu believed that “Judaic and Masonic” influences corrupted Romanian life. He built his nationalism on a wave of antisemitism and anti-Roma sentiment. In spite of his public statements after the failure to capture Stalingrad, in private, Antonescu did believe he was at war with Jews. His regime had overseen the murder of roughly 280,000 Jews and 11,000 Roma people — more than any other country except Germany. A firing squad killed Antonescu and three others found guilty of war crimes in 1946. Attempts to rehabilitate General Antonescu were most pronounced in the 1990s. Iosif Constantin Dragan had used his wealth and ownership of the weekly newspaper Europa to question the Holocaust until his death in 2008. In 1991, articles the Europa weekly denied Romanian complicity in the Holocaust. Europa even gave column space to Romania’s extreme-right. The fraudulent antisemitic conspiracy ‘Protocol of the Elders of Zion’ was even serialised in the right-wing press. Other magazines published their own Holocaust denial in 1994. In 2003, Romania’s Ministry of Information denied the existence of the Holocaust. The statement was soon withdrawn. Legislation passed in 2002 meant that Holocaust denial could result in a six year prison sentence. That legislation, however, did little to stop the flow of Holocaust denial literature. In spite of the overwhelming evidence, Holocaust denial and Romania’s complicity in genocide continued. Part of the problem is collective historical memory. Children were not taught about the Holocaust in schools until 1998. Only in the last decade have secondary-school children been able to take special classes on the Holocaust. 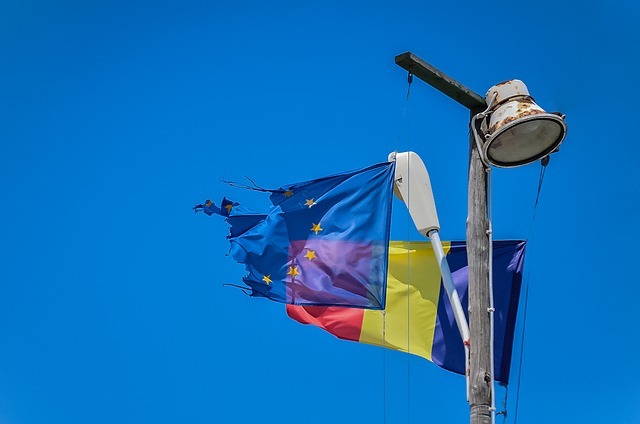 Yet it has not addressed the nationalist assumptions embedded in pre-communist Romania. Legislative amendments passed in 2015 made Holocaust denial illegal. And it also sought to weaken far-right movements who lionize Antonescu and the Iron Guard. The Elie Wiesel National Institute for the Study of Holocaust in Romania criticised Munteanu’s views on the Holocaust, according to the Agerpres news website. Munteanu insists that his quotes were taken out of context. There’s growing pressure on the PNL to withdraw Marian Munteanu’s candidacy due to his ‘fascist sympathies’.